Tasty oysters casino, made with oysters, bacon, and green onion, along with seasonings. 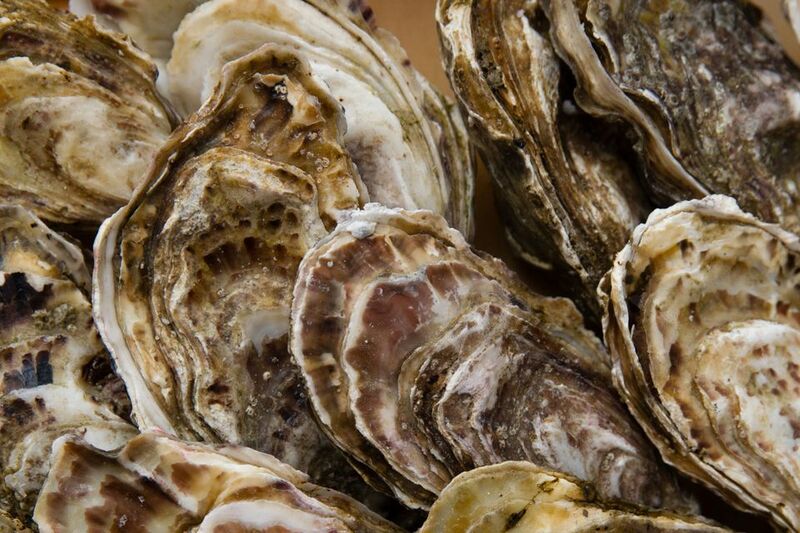 Place two oysters on the deepest half of an oyster shell. Repeat until all oysters are used (about 18 shells). Arrange shells on a layer of rock salt in a large baking pan. You might have to use 2 pans to fit all shells. In a skillet cook the bacon until crisp, remove to paper towels to drain then crumble. To the bacon drippings in skillet add the green onion, bell pepper, and celery; cook until just tender. Stir in lemon juice, Worcestershire sauce and Tabasco. Spoon onion mixture on the oysters in the shells then sprinkle with the crumbled bacon.